This exquisite women's handkerchief is made by a group of ladies from Madagascar with exceptional embroidery skills! One soft cotton handkerchief is hand embroidered and packed into handmade gift box. An ideal gift for birthday's, Mother's Day, Christmas present or as a stocking filler. Behind tamielle's products is the deep belief that designers can play an important role in creating work for people in need. 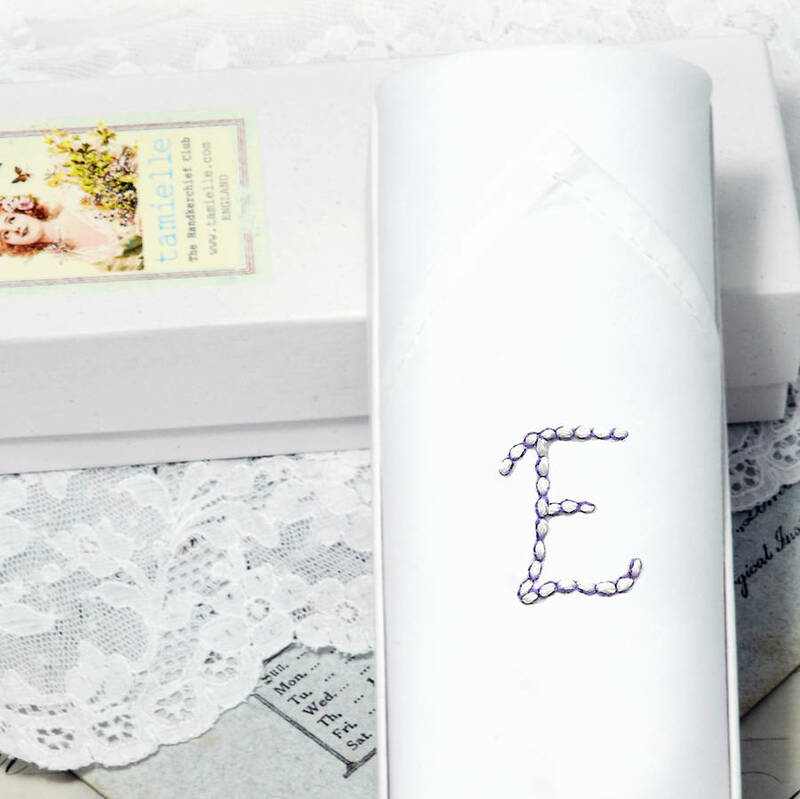 Each product comes with a note telling you the name of the lady who made it. We try to provide our ladies with work opportunities, and the self esteem that comes from creating something beautiful with their own hands. 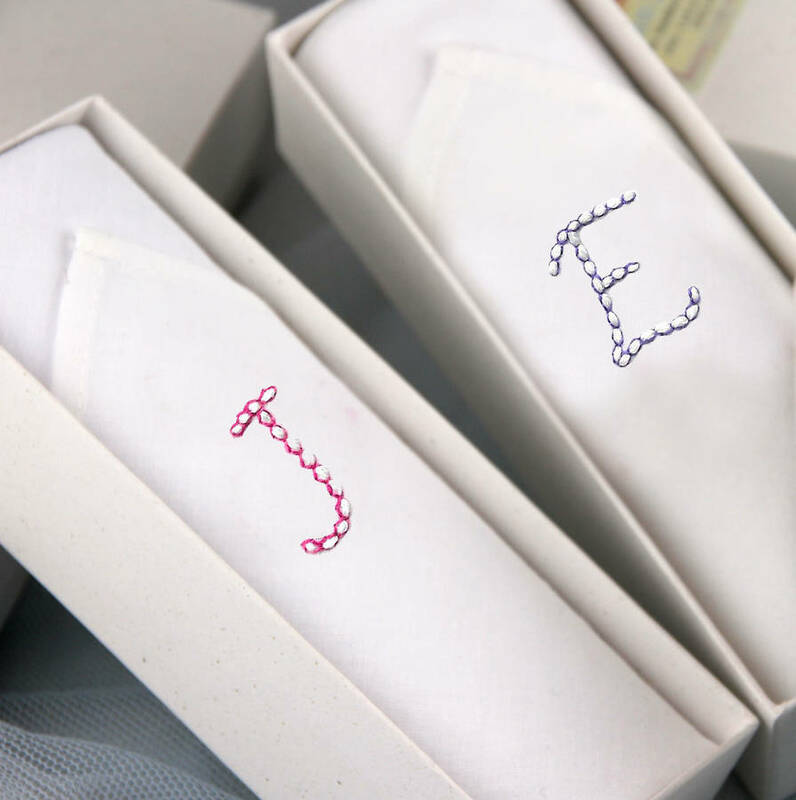 You can choose from these available initials: S,E,J,A,M,C.L Each letter comes in pink or in violet colour. 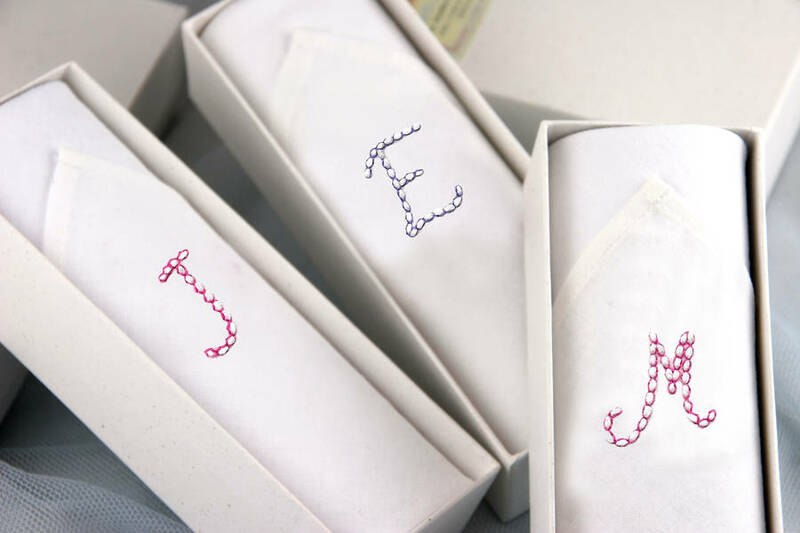 Packed in a beautiful handmade gift box. This product is dispatched to you by Tamielle.